Atlas entirely dedicated to the most important parasites and parasitoses of sheep. This book has been written by a prestigious specialist in Parasitology with a broad experience in this species, and each chapter shows his extensive knowledge in the field. 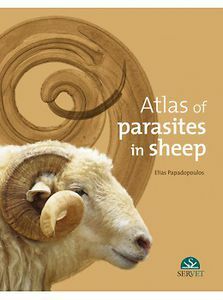 Based on a practical approach, it includes numerous resources (images, graphs, tables, flowcharts) to facilitate the identification of parasites and comprehension of their life cycles. In addition, two chapters address examination methods (best techniques to identify adults, eggs and larvae) and antiparasitic drugs (including groups and routes of administration), respectively, thus turning this book into a reference in its field. The atlas format makes the contents understandable and accessible to readers.